…and most have been for worthwhile causes. There’s nothing like knowing what you write makes a difference, even if it’s only in the giving away of a book or two. The first two novels of the Alvarez Family Murder Mystery Series are to be included in a gift basket donated by members of Sisters in Crime at the Left Coast Crime Mystery Conference in Sacramento at the end of the month. This basket crammed full of books will be bid on at LCC and the money goes to a local literacy program. Get more people reading books; I’m all for it, even when they’re not mine. Want more info about the conference? 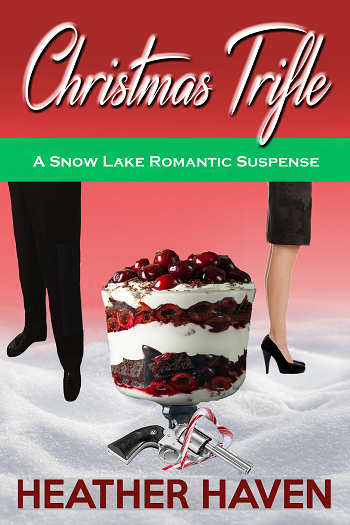 Go to http://www.leftcoastcrime.org/2012/. In addition, I am devoted to SinC, especially as Camille Minichino is one of its icons. This lovely lady gave me some sage advice several years ago at a Book Passage Mystery Writers Conference and I’ve never forgotten the advice or her. Here is that talented author’s website: http://www.minichino.com/. Her books are great, by the way. 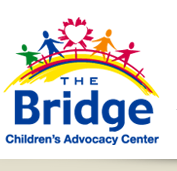 The second but very important cause is a children’s advocacy center called The Bridge http://www.bridgecac.org/. The overall goal of The Bridge is to help children and their families heal from the trauma of abuse so it does not define their lives. Direct quote. This wonderful program comes out of Amarillo, Texas. 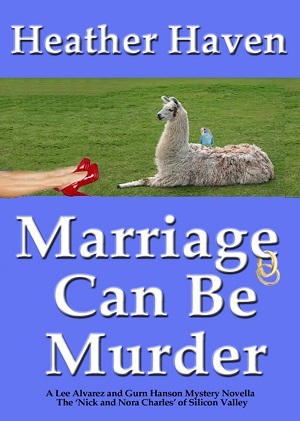 By happy coincidence, The Bridge is doing a murder mystery event April twentieth called A Wedding to Die For, which is the title of my second novel in the Alvarez Family Murder Mystery Series. I am donating eight of my books for the winners table and doing so with joy in my heart. The Bridge is still looking for sponsors, if anyone is interested. No cause could be better. This is a nice part of being a published author, the giving something back. True, it ain’t open heart surgery and I ain’t saving lives, but it gives me a glow. Hi Heather, stop my blog. I just nominated you for the Lucky 7 Meme award. My best wishes for your path, Heather. And I never forget "students" who go on to work hard, achieve success, and give back. Thanks for sharing your journey. My dear friends, as Sara says, this writing thing is a journey, like most of life. Sometimes we're together in it, sometimes we're alone. Whatever, getting there is half the fun. Sounds like you have found some very worthy causes to donate to. Sometimes I feel overwhelmed by all the need, but I think like you, if one chooses something meaningful and dear to their heart, it is even more rewarding to give. My motto, think globally but act locally. I've given in other ways, but haven't quite figured out how to donate books yet:) Guess it is part of the journey. Thank you for all you're doing Ms. Heather and dearest friend. I'm certainly going to check out the abused child cause you mentioned. Just this morning I was crying over an 11 year old who died from a 9 hour beating yesterday. The article mentioned a 5 year old there but was "unharmed". REALLY? Devestated me. Love you and thank you my dear. Such a lovely post, Heather. I give a DYING FOR A DATE with a good book and chocolate gift basket to every fundraiser in town and they love it. You can't go wrong donating books. Or chocolate. THanks for the Left Coast Crime mention. What has really amazed me is how much time the volunteers are willing to donate to our convention. THat is truly the spirit of giving. There is something wholesome about selfless acts. We never know how a simple act of kindness will affect somebody we don't even know. While 'what's in it for me?' seems to be the norm these days, it is just the opposite that makes a difference. 'What can I do for you?' is more what we need a lot of. Every society has folks with staggering needs, but you have no idea how much just reading a good book will help someone.